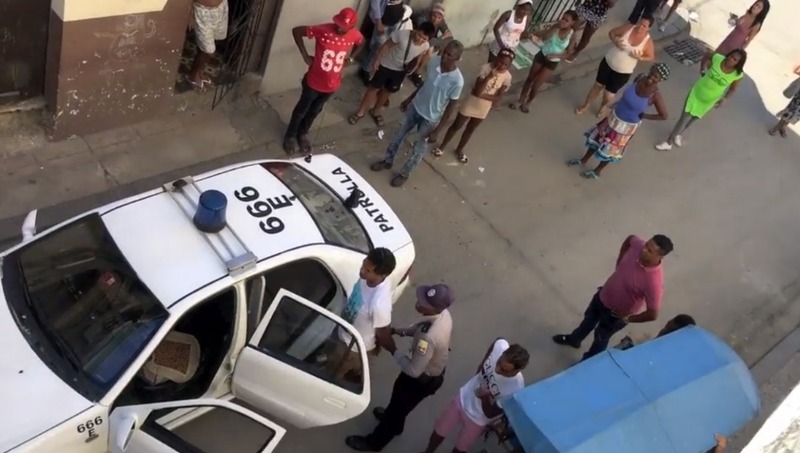 Cuban police detaining Luis Manuel Otero Alcántara on Thursday. Photo: Michel Matos. Artist and activist Luis Manuel Otero Alcántara was arrested by the Cuban police on Thursday for staging a performance with two collaborators as part of an unofficial collateral event to the Thirteenth Havana Biennial, the state-run exhibition which opened today, Diario de Cuba reports. Their whereabouts are currently unknown.